Our spring concert theme takes its inspiration from the famous Russian sculpture of the same name, erected during the height of the Cold War. 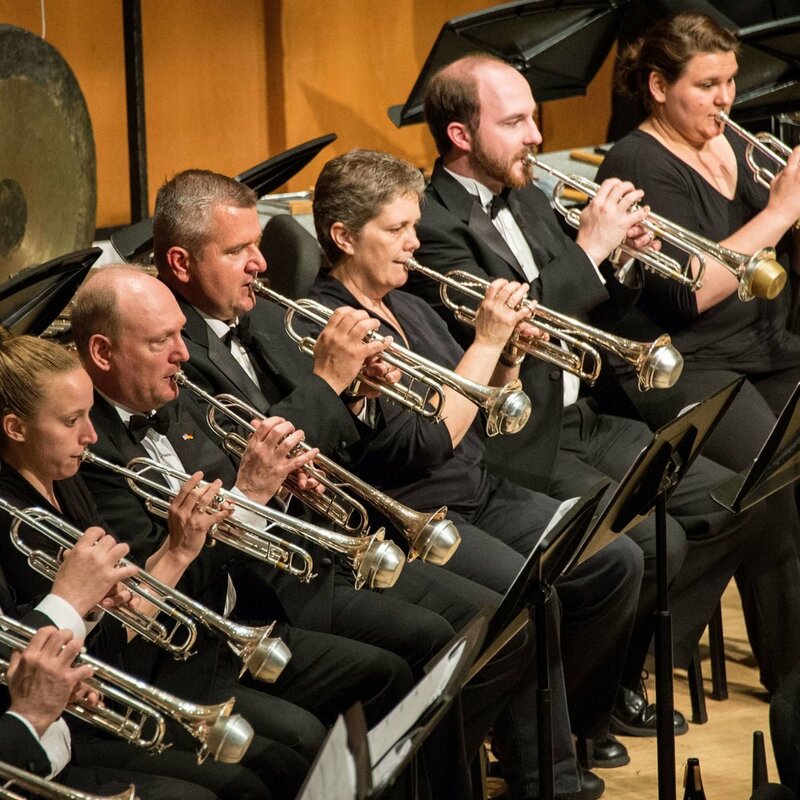 Featuring music by Shostakovich, Prokofiev, and Scriabin, some of Russia’s most renowned and influential musical figures, this concert explores the musical relationship between our two countries. Adapted from the score of the Soviet historical drama The Gadfly, this new arrangements of Shostakovich’s music wonderfully captures the range of emotions elicited from a narrative surrounding the struggle of Italian patriots against Austrian invaders. Commissioned in 1944 for a nationally broadcast NBC radio concert, Alfred Reed’s Russian Christmas Music premiered on a December 12th concert. This concert also included premieres of Russian and American music with the hope of improving Russo-American relations. As part of our mission to assist in the music education of young people—the future generation of adult musicians— through the presentation of concerts and clinics, we will perform a free concert at Algonquin Middle School in Des Plaines, Illinois. Dr. Mallory Thompson will give a clinic to the AMS band students who will also perform 2 pieces alone as well as join NCB in a joint performance. 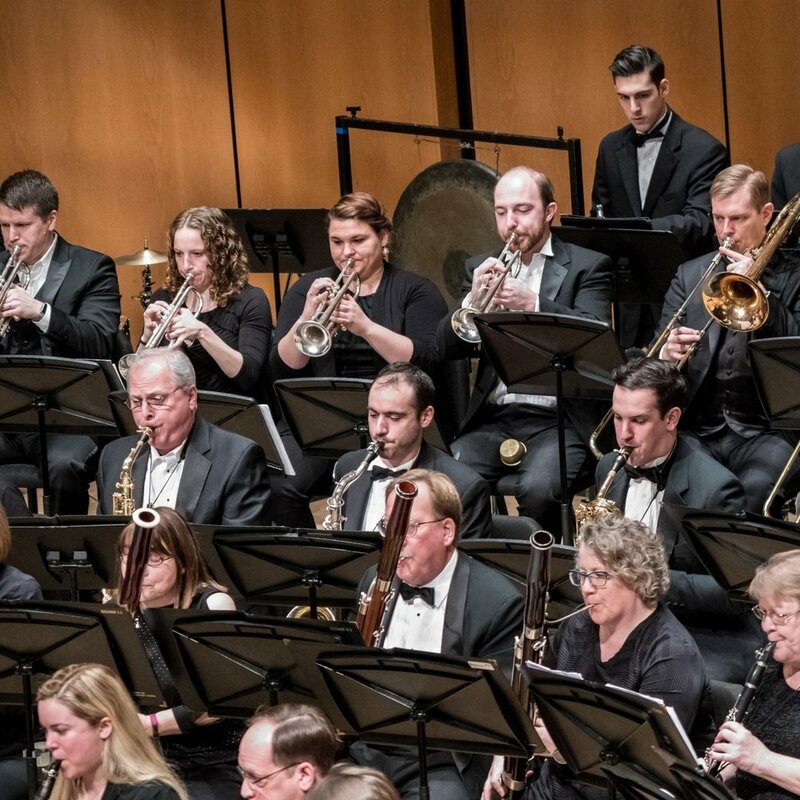 This winter, the Northshore Concert Band takes you on an intriguing and whimsical musical tour of three continents. Sure to be an audience favorite, the band performs a spectacular and colorful transcription of J.S. Bach’s Toccata and Fugue in D minor. This masterpiece, originally written for organ, is famous for its bold and dramatic opening, featuring virtuosic flourishes, dramatic scalar passages, and powerful chords. In a highlight of the season, we are joined by fifty of the most talented young musicians in the Chicagoland area as we celebrate and embody our “Lifetime of Music”. Together we will share music by Chinese, American, and British composers. Our season of Musical Journeys begins with warm memories of home and features the music of Aaron Copland. Written while he was living in Mexico, “the Dean of American Composers”’ sentimental Letter from Home evokes nostalgia and reminiscence. His suite from The Red Pony musically depicts scenes from the western drama film based on the John Steinbeck novella of the same name. With such movements as “The Gift” and “Happy Ending", Copland’s folk-like writing suggests the charming, open-air quality of country living. William Bolcom’s entertaining and eclectic Concerto Grosso for Saxophone Quartet and Band blurs the line between popular and “serious” music, uniquely combining Western art music tradition with dance music, rhythm-and-blues, and bebop. 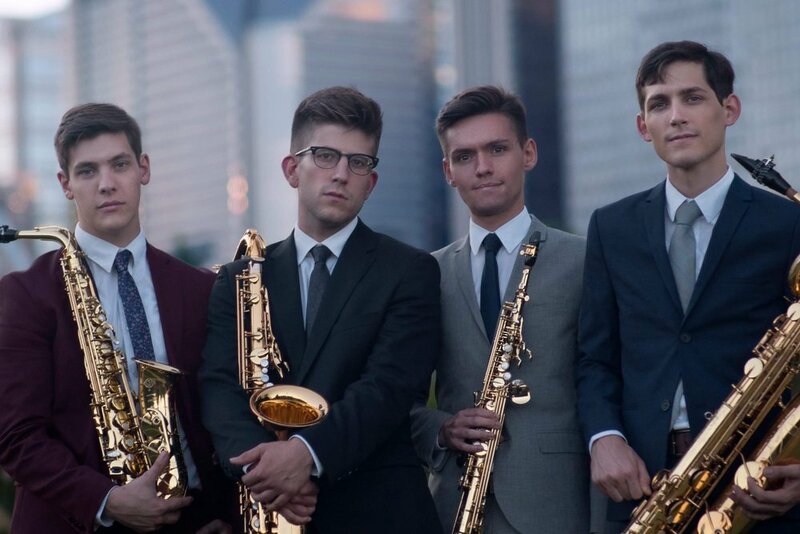 We are delighted to feature Chicago’s own ~Nois, a professional saxophone quartet of rising stars! Frank Ticheli’s colorful and energetic Blue Shades brings our program to a lively and rousing conclusion. Taking a musical page from his teacher’s Concerto Grosso, the composer combines his love of jazz with his own exciting musical voice. Our 2017-2018 season concludes with a lively program of music that draws inspiration from ages past. Edward Gregson's works evoke the image of an early Renaissance court, viewed through a modern lens. His Sword and the Crown was written to accompany productions by the Royal Shakespeare Company depicting the reign of Henry IV - one of the most turbulent periods of the British monarchy. Michael Gandolfi’s elegant and invigorating Flourishes and Meditations on a Renaissance Theme present seven variations on the Renaissance tune simply titled “Spagnoletta”. In the hauntingly beautiful Sketches on a Tudor Psalm, Fisher Tull re-imagines Thomas Tallis's setting of the second psalm of the Episcopal Hymnal. Our season concludes full circle with a performance of Star Wars title theme which, since its premiere in 1977, has famously invited us to consider that which occurred "A Long Time Ago". This program celebrates the strength and nobility of America, drawing connections between various periods and aspects of our country’s rich history. William Schuman, one of the most noteworthy American musical figures of the mid-twentieth century, is celebrated today through three significant pieces. His Chester and When Jesus Wept set timeless melodies from the Revolutionary-era American songbook “The New England Psalm Singer,” composed by the first American choral composer William Billings. Charles Ives's Variations on "America” renders the familiar patriotic melody in numerous settings, ranging from light-heartedly playful to powerfully bold. Commando March, written the year after Samuel Barber was drafted into the Air Force, encapsulates the patriotic spirit of American soldiers during WWII. This reflection on America's adventurous spirit concludes with an exhilarating piece by lauded American film composer John Williams. The Northshore Concert Band’s season of “Sonic Stories” begins with some star works of the wind band world! Karel Husa’s dedicatory Smetana Fanfare opens the season, in memoriam of the great composer’s recent passing.